The market is down trending and approaching the 50% Fibonacci Retracement. 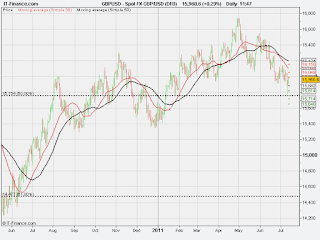 I will be placing a pending Sell Swing Trade order at the 50% Fib at 15754. Today is independence day in USA and the markets are closed in USA. The markets tend to trend sideways during public holidays. The market is currently trending sideways. A pending SELL order has been placed just below the Pivot point at 14503.